Woman frustrated and exhausted with her move. 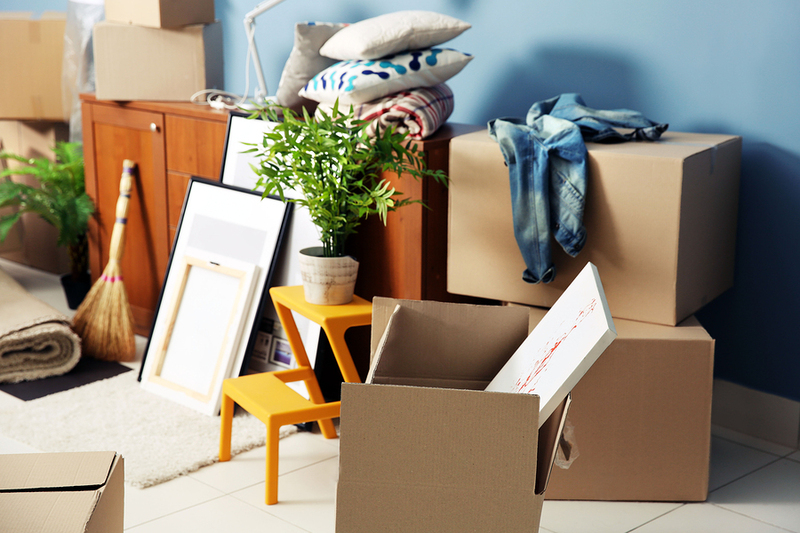 Just when you thought the stress of getting your home sold is over, there’s the next challenging hurdle of moving into your new place… if you even have one yet! A rent-back can be a helpful tool for a seller who needs more time to pack up a lifetime of belongings or still needs to find a new place to live. Some sellers need the proceeds from the sale before they can pay for and close on their upleg so there is a period of time between closes that they are essentially homeless. As a buyer, including a rent-back in your initial offer may give you a leg-up on the competition. If the seller is going to need more time after the close of escrow, a rent-back can make your offer more attractive. Other buyers may not have the ability or willingness to offer a rent-back. 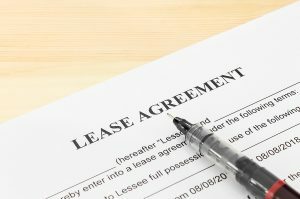 A rent-back agreement is a legally binding part of a purchase contract that does what it says: the buyer rents back the home to the seller for a specific period of time. The seller/tenant and buyer/landlord agree on how long the seller will stay in the property and how much the buyer will charge. Typically, the seller agrees to pay the buyers’ PITI which is their total monthly payment for their loan plus taxes and insurance. In this way, the buyer is not losing any money while the seller is still living in the property. But like everything in the contract, it’s negotiable. For instance, I just sold a home in which my client, the seller, got a 30 day rent-back for free. We had so many offers that several buyers were willing to offer the rent-back at no charge in order to sweeten the deal. It’s best to negotiate all terms up front at the same time you’re negotiating the offer. Terms including deposit, utilities, renter’s insurance will be more easily agreed upon early on. But once the offer is fully executed, if the buyer did not stipulate a deposit, there’s very little chance the seller will agree to it later on. Also, keep in mind the following: Lenders typically allow rent-backs for no more than 60 days. A rent-back for 29 days or less requires a simpler agreement than a rent back for 30 days or more. The buyer gets the keys at the close of escrow, but possession of the property is not delivered until the end of the rent-back. The buyer/landlord must give the seller/tenant 24 hour notice, per the agreement, for access to the property. Household goods packed up for the big move to the new house. For a seller who has lived in a home for a long time with a small mortgage, paying the buyer’s PITI can cause sticker shock, because it’s based on a higher value and subsequently a larger loan amount. Another possible downside for the seller is that you’re now living in someone else’s house! This can have emotional implications that are hard to imagine beforehand. From the buyer’s perspective, you own a home, but someone else is living in it now! You have the responsibilities of a landlord. And there is the risk that the seller may not move out on the scheduled date. When executed properly, a rent-back agreement can be a win-win for everyone involved. If you have more questions about rent-backs or are looking for a solution for your particular situation, feel free to call me at (310) 428-8804. Signing the residential purchase contract. The Arbitration Clause in the Residential Purchase Contract (RPA) in Southern California is the only section of the contract that may not be agreed upon by buyer and seller and yet you still have a fully executed contract. Most buyers’ agents tell their clients to sign this clause without fully understanding it, and without fully explaining it. 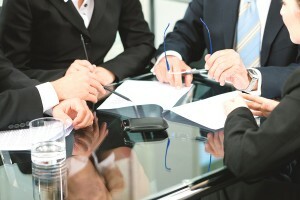 The Arbitration Clause comes into effect if buyer and seller have a dispute, and mediation does not work. Mediation is compulsory, but not binding. This mean that if there’s a dispute between buyer and seller, they must go to Mediation. However if they don’t like the result, they don’t have to adhere to it. Arbitration, on the other hand, is voluntary but the decision is binding. There is no jury in an Arbitration, and you can’t appeal a decision. The upsides are that it’s much faster and much less expensive than going to court. What a lot of agents don’t tell their clients is that you don’t have to agree to Arbitration at the time you sign the offer. Both parties can always decide to go to Arbitration at a later date even if the clause is not signed. In fact, my broker, RE/MAX Estate Properties has been instructed by our E&O insurance company not to sign the Arbitration Clause in a listing agreement for this very reason. The E&O company wants the flexibility to decide at a later date if there’s a dispute between the Broker and a seller. Many agents go on auto-pilot when it comes time to sign the contract. They see a blank line for a signature and they assume it needs a signature. Make sure to ask your agent more questions. Ultimately the decision is up to you, but your agent should be giving you the information to help you make these decisions. Which Inspections Should I Do When Buying a Home? This is the bread & butter of inspections. Everyone should have a home inspection. This is a generalist who will assess the following: foundation, roof, plumbing, electrical, appliances. This inspector is not a specialist in any of these areas, but will be able to tell you the general condition of these items and point out any safety concerns and recommended upgrading. The home inspector will recommend you seek an expert in any of these areas if there is some concern about the condition of these items. 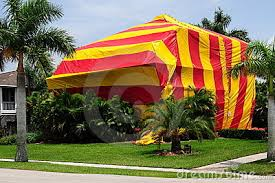 For instance, if the inspector sees droppings in the attic, he will recommend a termite inspection. If the inspector, sees moisture under a sink, he will recommend a plumber for further investigation. But often, a buyer can base his Request for Repairs on the home inspection report. Keep in mind, that not all home inspectors are created equal. Make sure you use an inspector who is licensed and bonded. Also, it’s a good idea to use someone that either your agent or friend/family member has had experience with. Mold inspections are not done as regularly as home inspections. But they should be! I always insist that my clients get a mold inspection. Water is a homeowner’s worst enemy and often water damage can go undetected, wreaking havoc behind the scenes. A good mold inspector helps give you a more well-rounded picture of your soon to be new home. And often it can save you from walking into some nightmarish repairs. If you want to know the condition of your sewer line, you can have a plumber or sewer line specialist come to the property and put a video camera into the sewer line. You will be able to see if there are any blockages in the line or possibly even tree roots that are impeding the sewer line. I usually recommend this to people who are buying older homes with mature trees on the property. If you have any questions about the condition of the roof that your home inspector can’t answer or if your home inspector recommends further investigation by a roofer, it’s a good idea to bring someone out who can quote you the cost of a new roof or needed repairs. Often, you can get a roofer to come out for a free estimate. If you are concerned with some visible cracks or the home inspector thinks there could be some foundation issues, it can be a good idea to hire a foundation inspector. I think it’s helpful to find a foundation inspector who’s also a structural engineer. Depending on where this house is located, a geologic inspection is something you may want to consider. If there’s concern with the soil or condition of the land, this can be a worthy investment. Areas like Malibu would be a good place to do a geologic inspection. 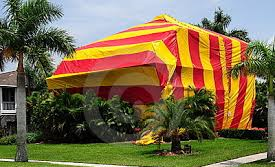 Normally, the seller will pay for a termite inspection. This report will show signs of termite damage, termite infestation, and dry rot. Keep in mind, when a Wood Destroying Pest Addendum is included in a contract, the lender will require that all termite work be done prior to funding the loan. Typically, a seller will agree to pay for these items. It’s just a matter of coordinating the work prior to escrow closing. These represent a good number of inspections that you can do as a buyer. Basically, if you have any questions or concerns, you can always bring in an expert for further evaluation. The money you spend on inspections can add up, but it’s a good insurance policy against purchasing a home that will be a money pit of repairs. 405 S Gertruda Avenue in South Redondo Beach has been on and off the market over the past few years. It’s a lovely home with a lot to offer. And yet it hasn’t had an offer that has sealed the deal. This gives us an opportunity to look at one property over 3 distinct time periods in the South Redondo Beach real estate market. Here’s the history: The home was purchased in September 2005 for $1,480,000. As we all know, this was a market on an upswing. Sellers could do no wrong. Homes sold themselves and prices climbed quickly. 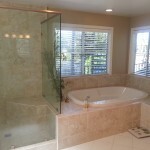 Then in January 2010, the homeowner put the home on the market for $1,765,000. It was on the market for approximately 3 months. It didn’t sell, and not surprisingly. The market had pretty much come to a stand still, and in many cases prices had dropped back down to 2005 levels. There was no way this home would sell for $300,000 more than what it sold for in 2005 – not in this market. And it wasn’t going to sell at $1,685,000 later in the year when it was put back on the market again. Fast forward three years, and the home was listed for sale in July 2013 for $1,875,000. This was in the middle of a very hot market. But it’s also been a fickle market. Buyers have gone gangbusters on many properties and activity is rather subdued on others. And South Redondo seemed to languish behind North Redondo, Manhattan Beach and Hermosa Beach. After four months the listing was canceled. And now, in March 2014, it’s back on the market for the same price. Is there going to be anything different this time? One of its neighbors, 413 S Gertruda, sold in October 2013 for $1,700,000. It’s newer but smaller by about 500 sq feet. If 405 S Gertruda ultimately sells close to its asking price, then we are still in a very upward mobile market. But based on this recent comp, I would deduce that the value is below the $1.8 mark and not above it. 405 S Gertruda shows very well. The views are gorgeous and the roof top deck is extremely usable. I’m not a fan of all the spiral staircases. (Loved them when I was a kid… could run up and down them all day long. But now I just get an awesome case of vertigo.) The neighborhood views are also picturesque. The kitchen is beautifully updated. 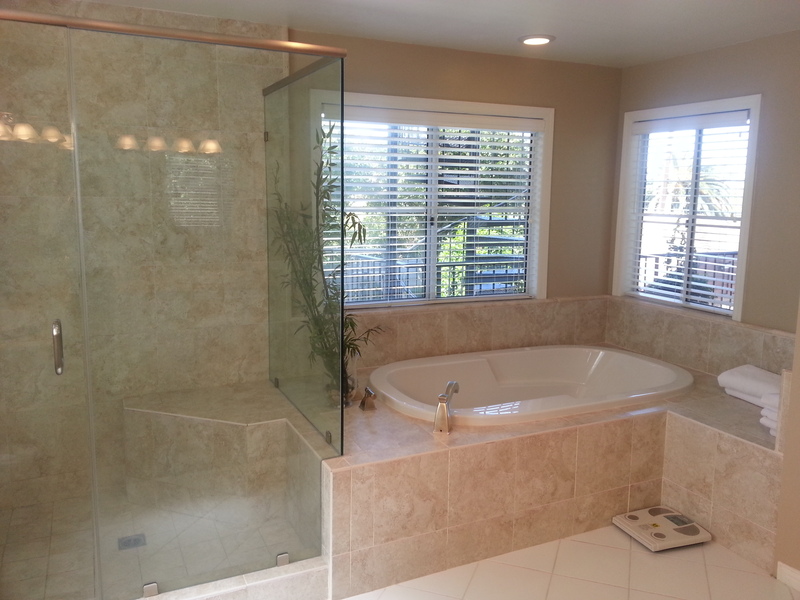 The master bathroom is lovely. This house gives you a lot of space on a great street with great views. But it’s my feeling that it’s going to need to come down in price before someone is ready to step up to the plate. With that being said, there have been plenty of people stepping up this past year, setting new benchmarks. Only time will tell. Have you seen the commercials where the kids are handing in homework assignments with ridiculous facts about saber tooth tigers and World War II to illustrate the undependability of information on the Internet? We all get it… the web is chock full of information that is not fact checked or properly sourced, and down right not credible. Then how is it that when they go online to look at home values, they believe everything they read? Web sites like Zillow and Redfin tell you how much a home is worth, but how do they do it? They’ve never been in the home. They may never have even been in that neighborhood before. But they publish home values like they’re the experts. Well, if you look closely they do put a disclaimer in there. For my area, Los Angeles, Zillow discloses a median error of 8.2%. Eight percent is a huge difference in pricing. It’s a home that’s worth either $540,000 or $500,000; $918,000 or $850,000; $1,620,000 or $1,500,000; $2,700,000 or $2,500,000. So now they’re not looking quite so expert-like, am I right? If you want to determine your home’s value, call a Realtor; call me if you’re in Los Angeles county. Call someone who is knowledgeable about the area, who can come to see your home, who has been in other similar homes, who can give you an educated, expert evaluation. In the South Bay, as in much of the country, we are currently in a Seller’s Market. There is a lack of inventory and a lot of buyers. It’s simple economics: supply and demand. High supply and low demand is a Buyer’s Market; low supply and high demand is a Seller’s Market. And when supply and demand are relatively on par, we have a balanced market. So if you’re a buyer in this environment, you have some challenges to face. You will be pitted against other buyers who are paying all cash or who are making large down payments or who are willing to shorten or remove contingencies quickly. You need to make your offer as competitive as possible if you want the seller to choose your offer over the others. But for some buyers it can be even more complicated than this. Some buyers need to sell their home before they can buy a new home (their “upleg”). They are taking the money from the proceeds of the sale of their house and putting it toward the down payment for their new home. Consequently, the offer they make is contingent upon the sale of their home. It’s hard to compete with other buyers when you still have to get your home on the market, find a buyer, and close escrow. Most sellers are going to want as close to a sure thing as possible. An offer contingent upon the sale of the buyer’s property is not a sure thing. So in this seller’s market, it behooves a buyer who has to sell their home to get their home on the market first and lock in a buyer, and then make an offer on an upleg. The key is to sell their home contingent in that way letting the buyer of their property know that the seller is allowed to cancel the deal if they don’t find an upleg. Bob does not have Home A on the market and he makes an offer on Home B. Bob has Home A on the market and he makes an offer on Home B. Bob has an accepted offer on Home A and makes an offer on Home B. Bob is in escrow on Home A and makes an offer on Home B. Bob is in escrow on Home A and the buyers of Home A have removed all their contingencies. Bob makes an offer on Home B. As you can see, the seller of Home B will probably prefer the last scenario. The buyers for Home A are locked and loaded, and Bob is ready to move forward in an escrow on Home B with less risk than if he didn’t even have his home listed for sale yet. The further along you are in the process of selling your home, the better chances you have of getting an offer accepted on your new home. By switching the positions of the sofa and the armchair, we were able to open up the living room and make the space look bigger. Selling your home is a big project… daunting at times. But if you put enough prep work into it, you can sell it quickly. In fact, the more effort you put into readying your home for sale, can actually shorten the amount of time it takes to sell it. 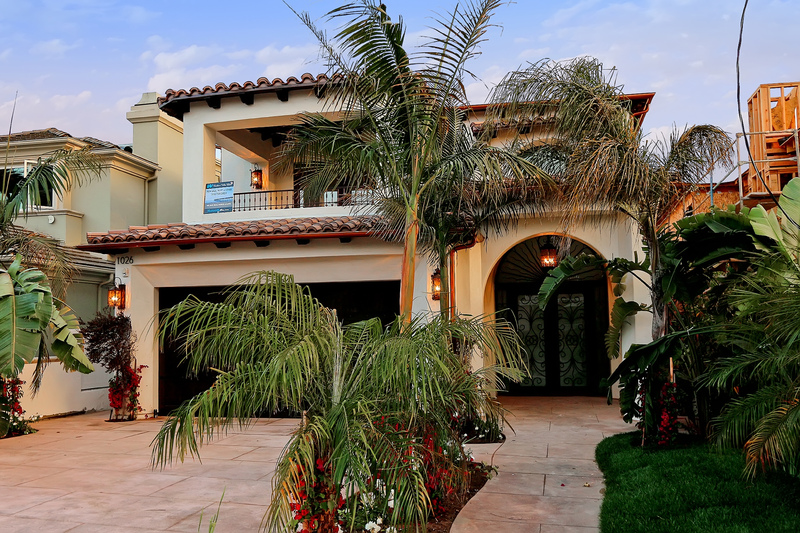 My latest listing in Redondo Beach is the perfect example. My clients and I sat down and made a thorough To Do list. 1. The first thing on their list was to rent a storage space. We needed to de-clutter their house. By re-arranging their furniture and eliminating some bulky pieces, we were able to properly display the floor plan and create a warm, inviting space. And since they would be moving anyway, it didn’t hurt to get a jump start on some of their packing. 2. We identified certain upgrades in the house that would bring the most bang for their buck. 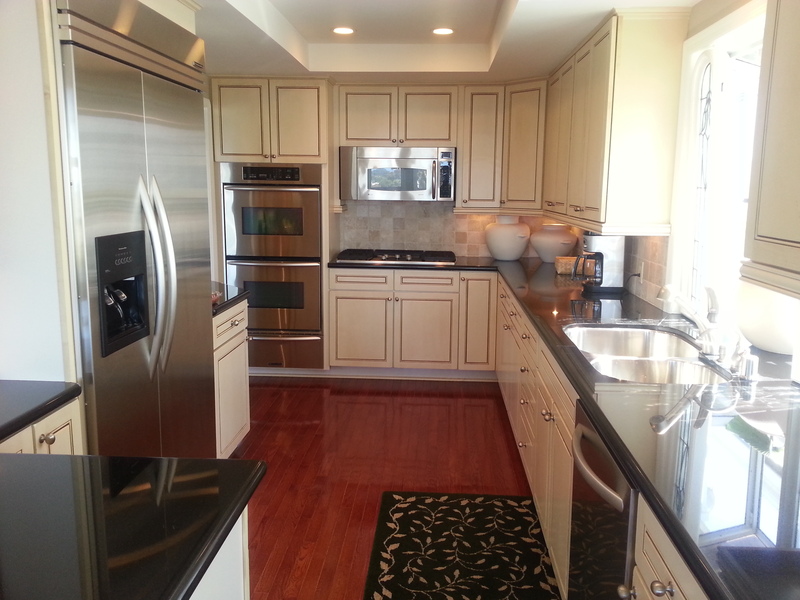 For instance, all the appliances in the kitchen were stainless steel except for the dishwasher. 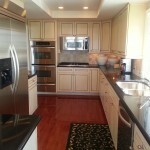 A $500 investment in a new dishwasher helped us complete the updated, polished look for the kitchen. Painting a light, neutral color in the living space freshened the home up and made it even lighter and brighter. And painting the exterior wood and trim gave the house an affordable and quick face lift. Finally, we replaced all the interior doors from a flat wood to paneled doors, immediately giving the home a more modern feel. They cleaned up the yard and planted some flowers to add some color. 3. They took care of some minor repairs prior to listing. All in they spent approximately $10,000 but effectively raised their home from a $725,000 price point to a $775,000 price point. That’s what I call a good return on their investment! And they sold their home in 2 days with multiple offers. There’s no one way to do this. Each home is different; each market is different. But it’s always a good idea to evaluate your home’s condition and determine if there’s anything you can do to improve how your home shows. Of course, not all sellers have money to spend prior to selling, and that’s okay too. 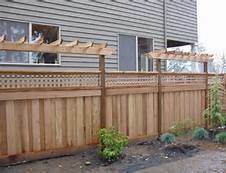 You do what you can and some projects can be done relatively inexpensively such as doing your own gardening. Or if you don’t want to spend money on a storage unit, you can get away with storing things in your garage. Sometimes power washing the outside of your home will do wonders, and it’s much less expensive than painting. But most importantly, if you need to sell your home As Is without making any repairs or upgrades, then it’s crucial to market it accordingly. There’s nothing worse than touting a home with a gourmet kitchen and disappointing would-be buyers when they walk into a kitchen from the 1950s that has never been updated. You’re setting yourself up for failure. 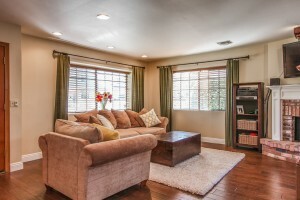 I’d rather have clients pleasantly surprised when they walk into a home, then standing there trying to figure out from which angle the photo was taken because the room looked so much bigger online.